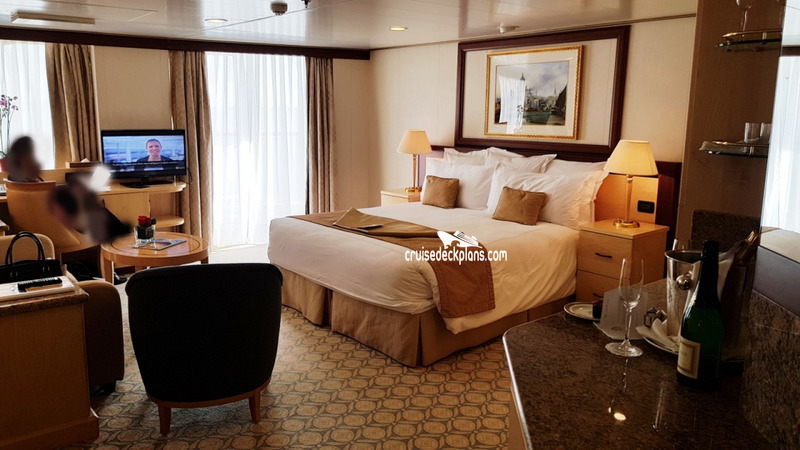 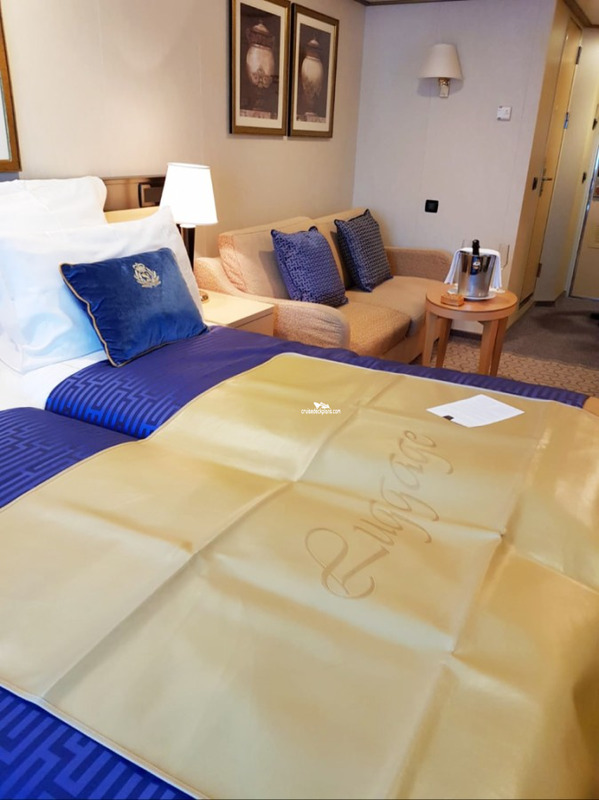 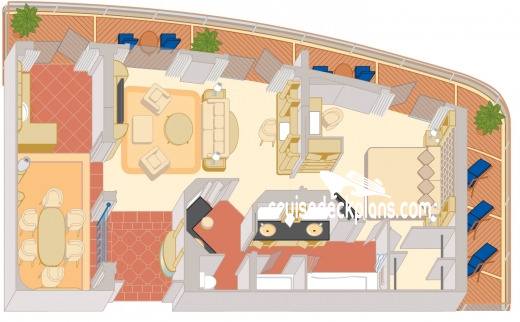 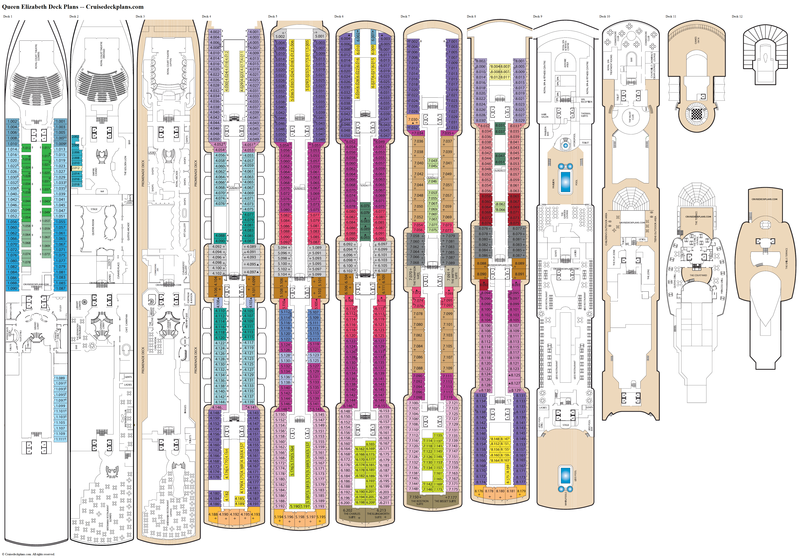 Staterooms range from 1375 to 1493 square feet including balcony. 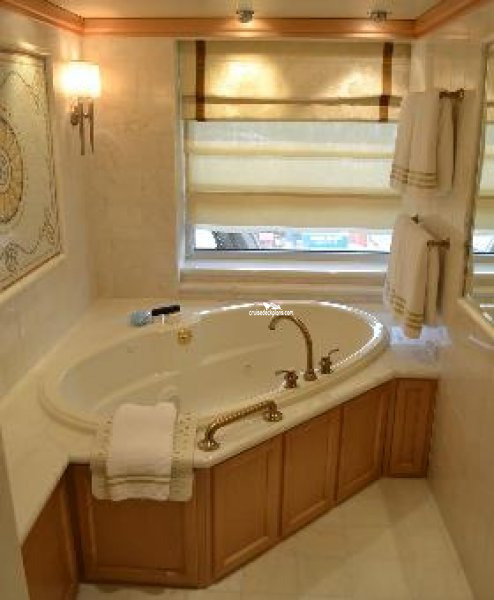 Amenities also include broadsheet newspaper, exclusive access to The Grills Lounge, The Courtyard, and The Grills Terrace. 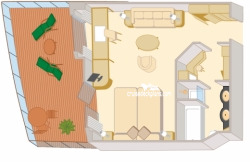 Staterom size ranges from 520 to 707 square feet includijng balcony. 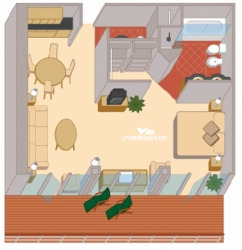 Category Q6 and Q7 is 484 to 508 square feet including balcony. 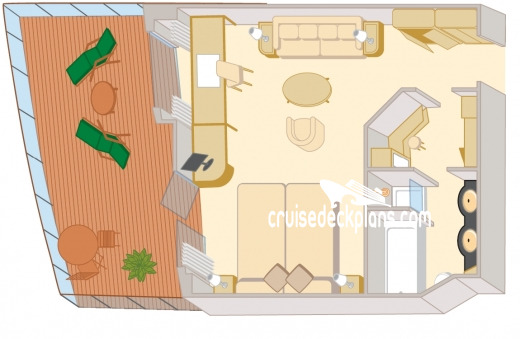 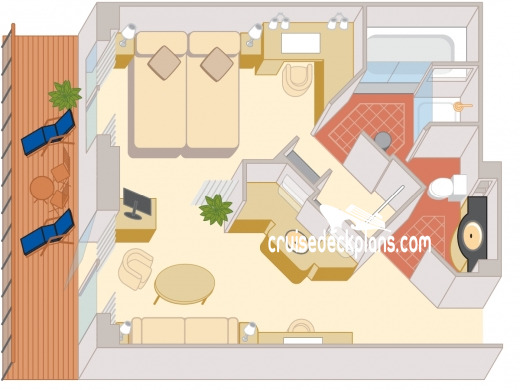 Category Q5 is 773 to 771 square feet including balcony. 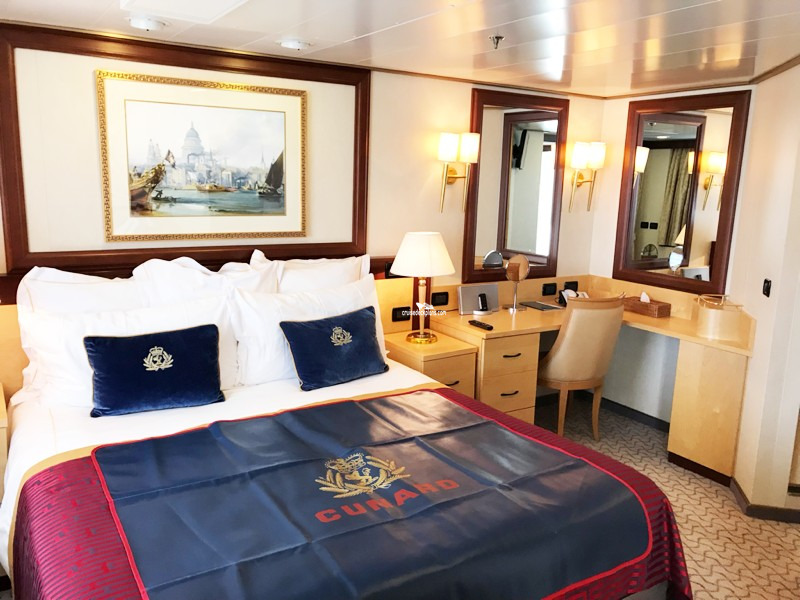 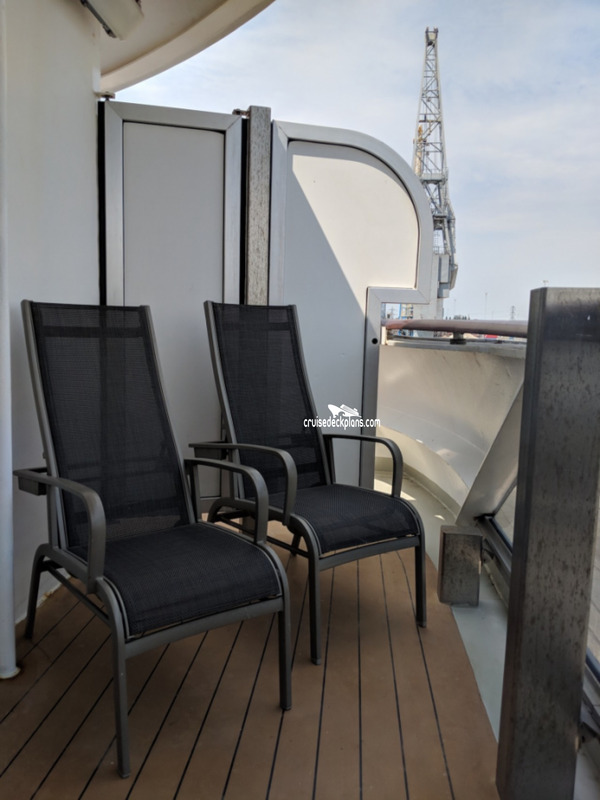 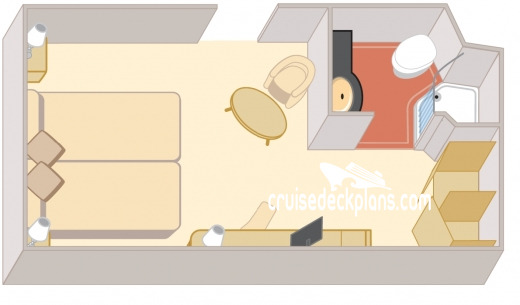 Staterooms range from 291 to 420 square feet plus a 90 square foot balcony. Staterooms range in size from 190 to 420 square feet with 54 square foot balconies. A6 Cabins 4003-4042 and A7 Cabins have metal fronted balconies. 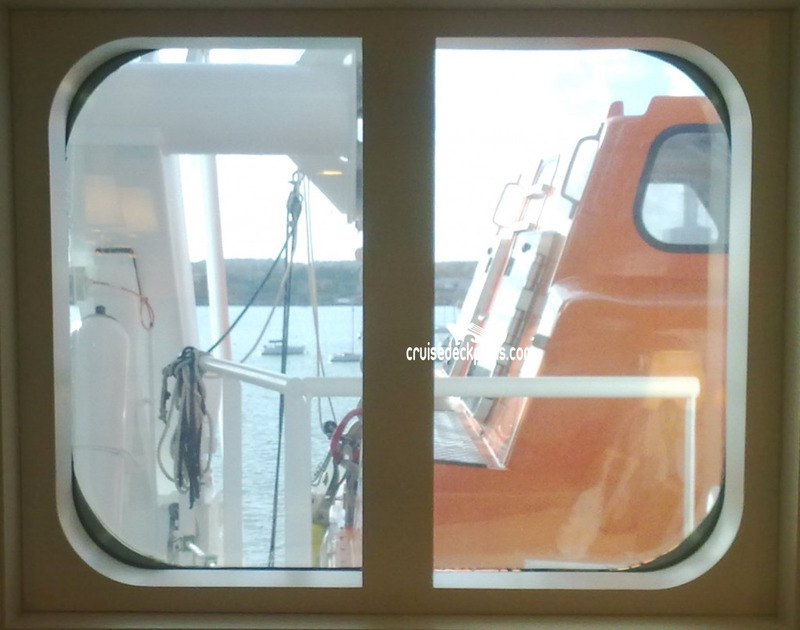 A6 Cabins views are partially obstructed by lifeboats. 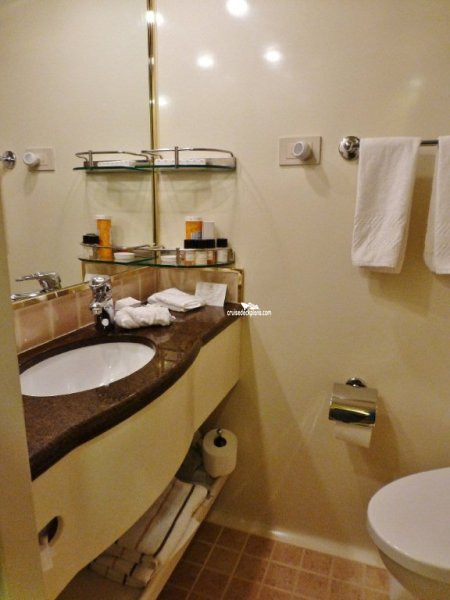 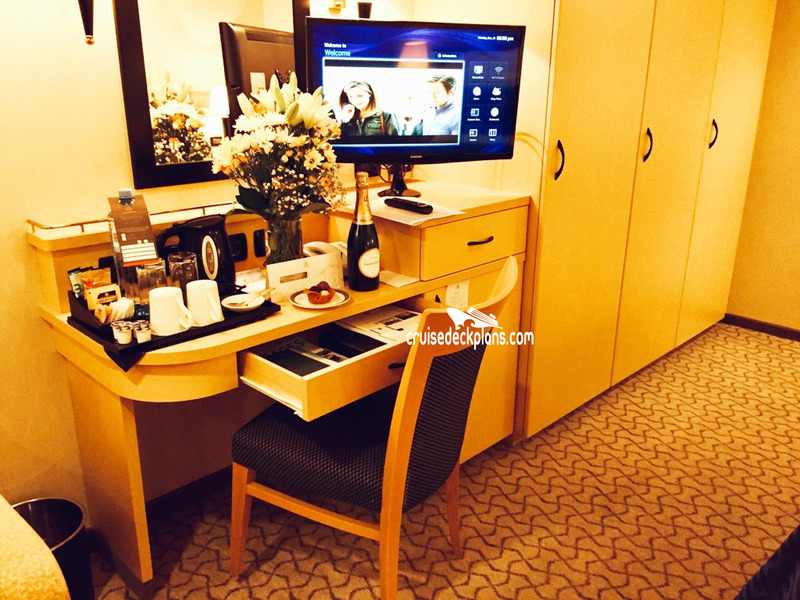 Category A1 and A2 has full bottle of wine, pillow concierge and dines in Britannia Club single seating Restaurant. All others dine in Britannia Restaurant. 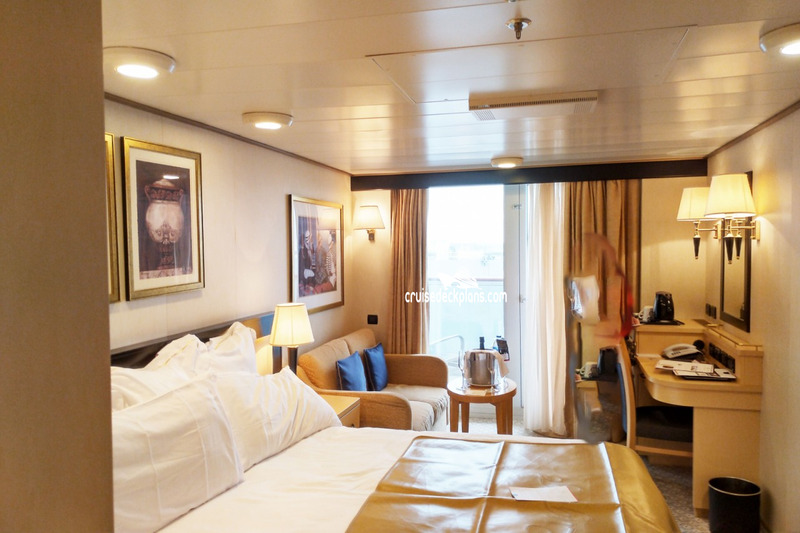 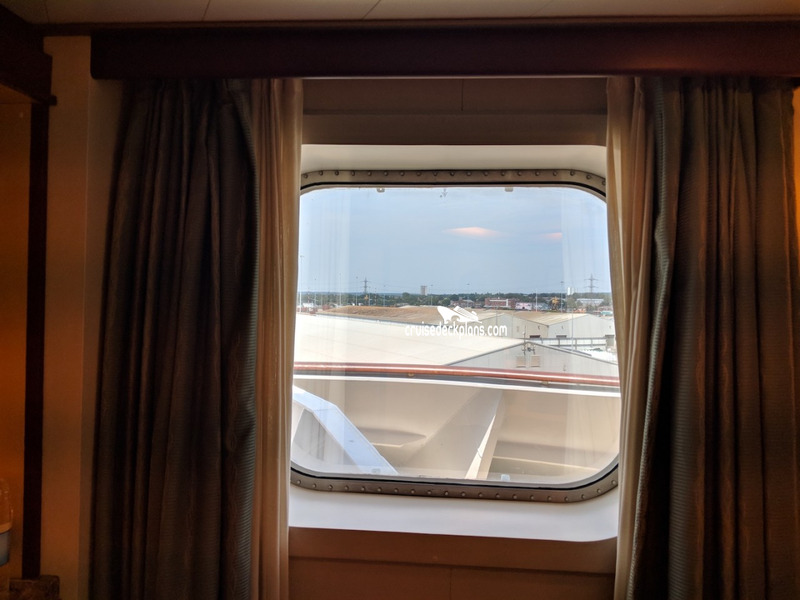 - C4 and C5 staterooms have obstructed views. 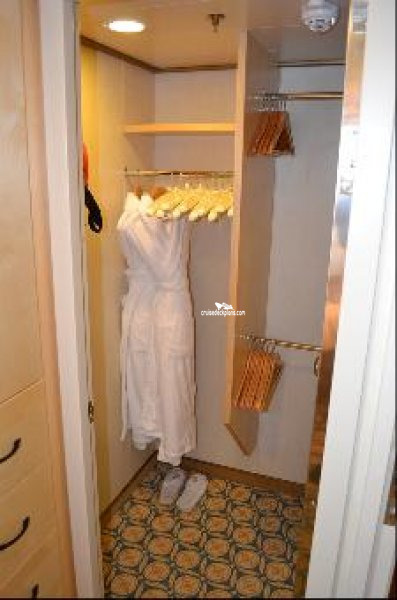 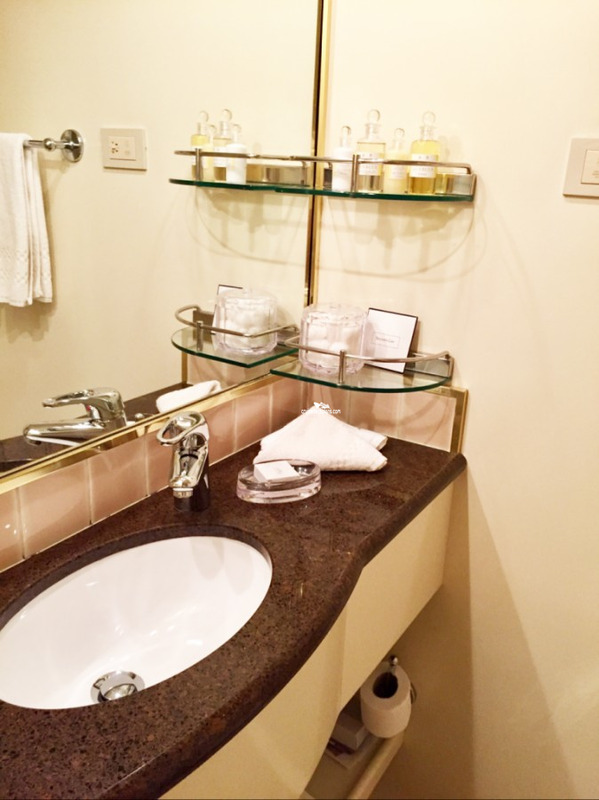 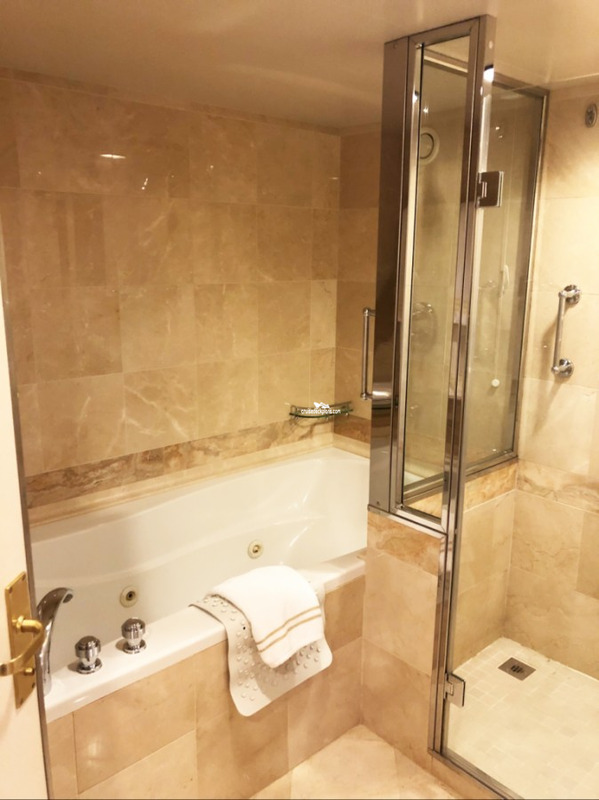 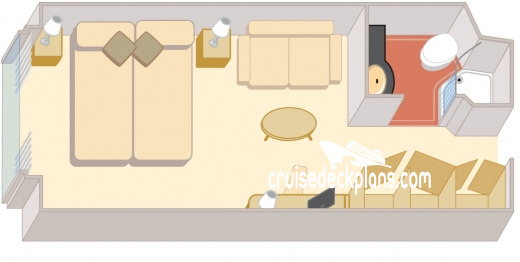 Stateroom size ranges from 180 to 201 square feet. 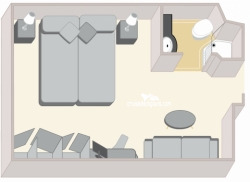 Category KC is a cabin for singles. 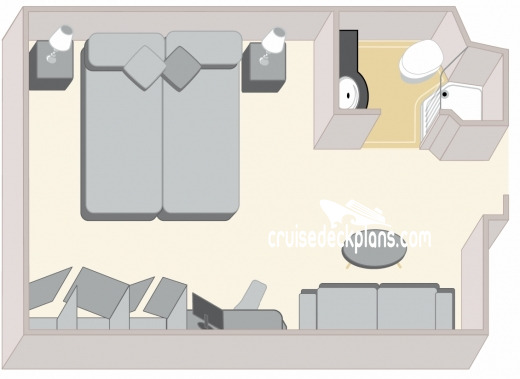 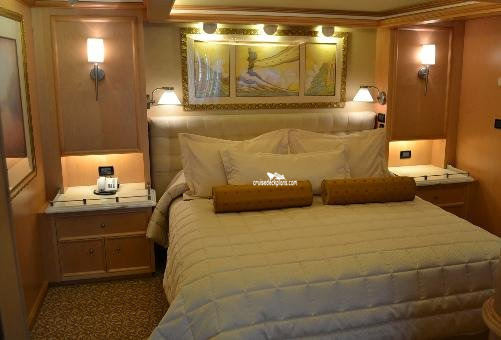 Stateroom size ranges from 200 to 243 square feet. 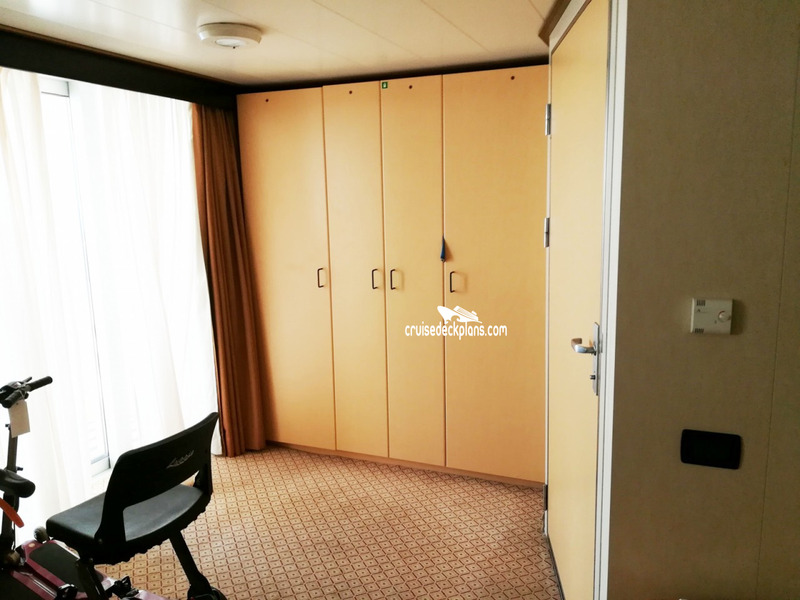 Category LC is a cabin for singles.